US Equestrian (USEF) has named the following athletes to the U.S. Show Jumping Team for the Longines FEI Jumping Nations Cup™ USA CSIO5*, taking place at HITS Post Time Farm in Ocala, FL. The Longines FEI Jumping Nations Cup™ USA is the finale to the Ocala Winter Festival running Tuesday, February 13-18. Beezie Madden (Cazenovia, NY): Madden is a four-time Olympic medalist and has been a member of the US Nations Cup team for the past three years at HITS Ocala. McLain Ward (Brewster, NY): Ward is a four-time Olympic medalist and as been a member of the US Nations Cup team for the past three years at HITS Ocala. He is also a three time winner of the HITS $1 Million Grand Prix. Lauren Hough (Wellington, FL): Hough is a two-time Pan American Games medalist and competes annually in Nations Cup competitions throughout the world. She also was the Great American $1 Million Grand Prix winner in 2017. Laura Kraut (Royal Palm Beach, FL): Kraut is an Olympic medalist, who made her debut in Sydney in 2008, leading to a Team Gold. Kraut has proudly represented the U.S. at World Championships and in numerous Nations Cup competitions. 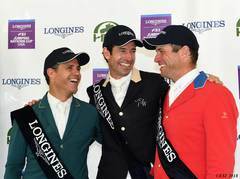 Devin Ryan (Long Valley, NJ): Ryan has won a number of prestigious Grand Prix, including the $216,000 Longines FEI World Cup™ Jumping New YorkHe is currently ranked 8th in the Longines FEI World Cup Jumping standings. Team USA, after winning the 2016 Nations Cup Qualifier at HITS Post Time Farm. 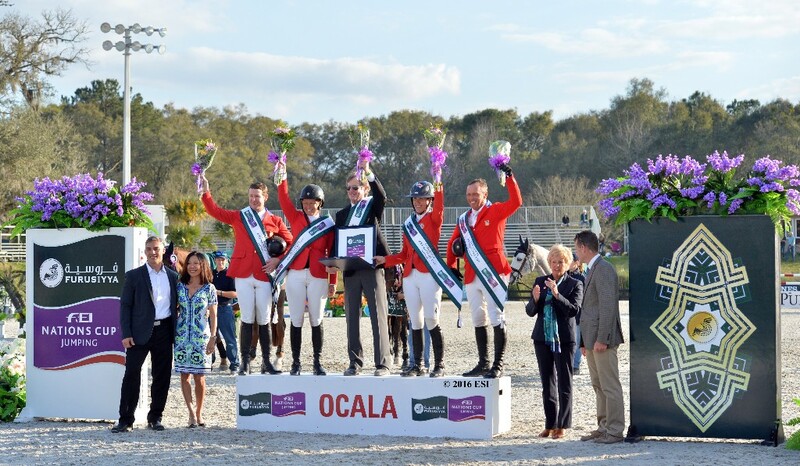 Since the event has been held in Ocala, Team USA has placed second in 2015 and 2017, and won the event in 2016. HITS is thrilled to once again have the opportunity to host this event in 2018. The Longines FEI Nations Cup USA will take place on Sunday, February 18, 2018, at HITS Post Time Farm, Ocala, FL. For the first time, a Nations Cup event for Juniors and Children will also be offered. Buy tickets online, in the horse show office, or at the gate on the day off the event. Click here for the US Equestrian official press release.